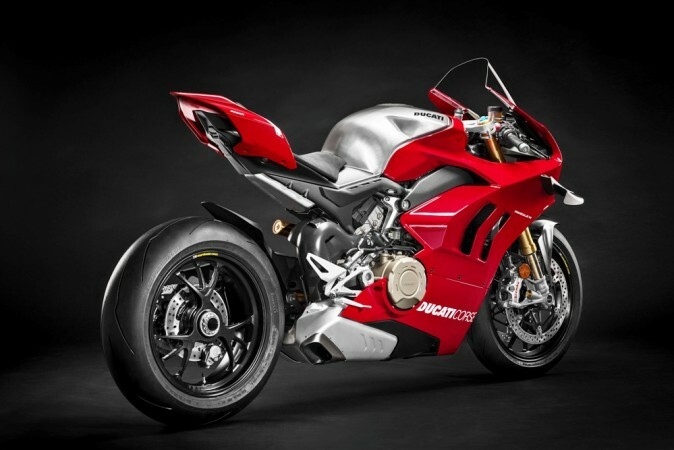 Ducati has plonked 998cc Desmosedici Stradale R motor in the Panigale V4 R. Combined with the optional Ducati Performance exhaust by Akrapovic, the mill develops 234hp at 15,500rpm. 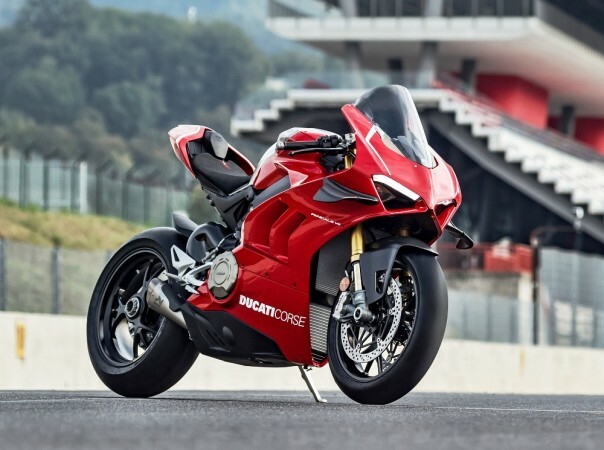 Italian superbike maker Ducati had revealed its most powerful production bike ever - Panigale V4 R - at the EICMA show at the beginning of the month. The Bologna-based automaker has now launched the Panigale V4 R at an eye-watering Rs 51.87 lakh (ex-showroom). Ducati India will sell only 5 units and bookings are currently open while delivery will take place in 2019. The Panigale V4 R is a track machine while it is also a pure road-legal WSBK category competition bike and constitutes the technical foundation for the official Ducati Superbikes that will compete in the World Championship as from the 2019 season. 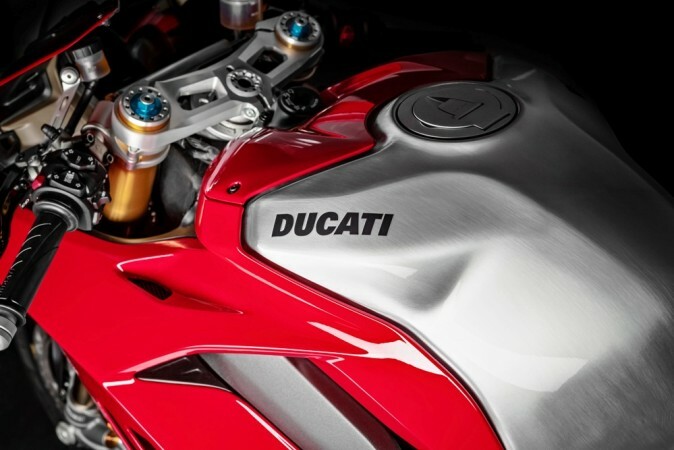 The heart of Ducati Panigale V4 R is 998cc Desmosedici Stradale R motor to comply with displacement limits set by WSBK rules in the V4 R. This is a slightly downsized engine when compared to the Panigale V4 and V4 S version's 1,103cc V4 Desmosedici Stradale engine while excitement has not been compromised. The bigger engine the Panigale V4 and V4 S are designed to provide fluid power delivery and excellent low-rev pulling power for optimal road use while the 998cc engine in the new V4 R offers more extreme performance, ideal for track usage. Ducati claims, a bigger air intake efficiency allows faster engine 'rev-up' and shifts the rpm red zone higher to ensure improved acceleration in the 998 cc engine. As a result, it develops 221hp of power at 15,250 rpm which is 2,250 rpm higher than the point of peak power on the 1103cc engine. The power figure may look inferior to the rival-in-chief, Kawasaki Ninja H2 that develops 231hp from a supercharged engine. If you opt for the full-racing Ducati Performance exhaust by Akrapovic, the total output of Panigale V4 R take to 234hp at 15,500 rpm. The extreme performance is also complemented with bringing kerb weight down to just 193 kg by lighter internal components. The Panigale V4 R is lighter by 2 kg compared to the Panigale V4S, bringing kerb weight down to just 193 kg. To put it into perspective, the KTM 390 Duke that we see on the road every now and then weighs at 154 kg.